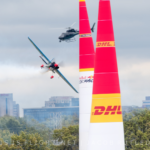 The past year of airshows can perhaps be summed up as being notably unremarkable – not egregiously bad, but with a very limited number of standout moments. In Britain, at least, this inspires at least some hope that the airshow scene may be slowly recovering after the Shoreham Airshow crash two years previously, and a second consecutive fatality-free season goes some way to prove the country’s exemplary safety record. 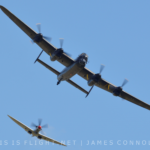 Indeed, aside from increased display separation hitting Duxford and Cosford hard and the last-minute cancellation of the flying display at Cosby, there can be little to complain about in the UK this year, but it is nonetheless challenging to select any real highlights. 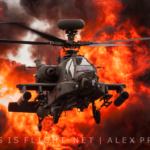 The Royal International Air Tattoo has been the most widely lauded event of the year – and deservedly so; the USAF’s 70th anniversary saw the strongest participation from that air arm since before the sequestration cuts of 2013, with types such as the B-2 Spirit, F-22A Raptor and the six F-16s of the Thunderbirds all participating in the flying display. Also memorable was the rare appearance of a Ukrainian Air Force Su-27 Flanker, which displayed to much critical acclaim. 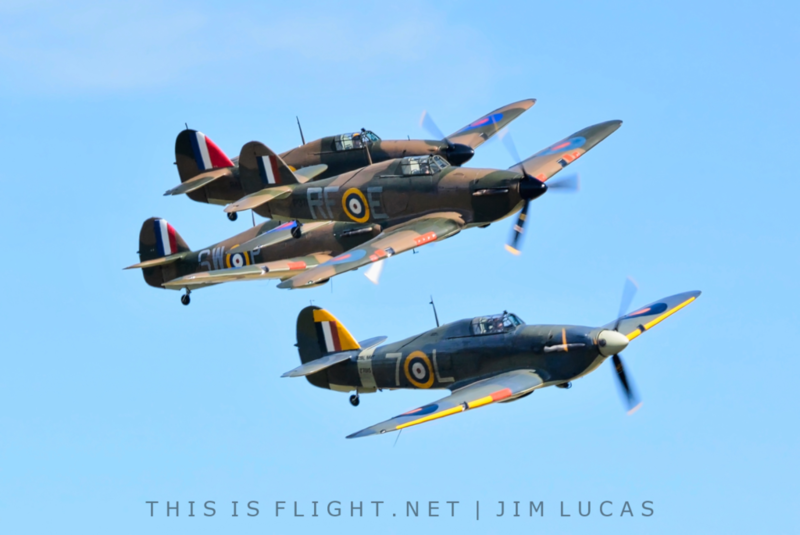 2017 was the year of the Hurricane in the UK, with scintilating three-ship displays at Shuttleworth in June and July, and later four and five-ship displays at Duxford in July and September. While Britain’s broader historic aviation scene remains generally in good health, it has unfortunately been dogged by accidents – not least the loss of the world’s only flying Sea Vixen, operated by the Fly Navy Heritage Trust, which will cost millions of pounds and years of work before it can fly again. The Battle of Britain Memorial Flight also had a tough time, with their Dakota out of action all year and the Lancaster not flying until July. If that weren’t enough, the discovery of an engine problem then caused most of the fleet to be grounded from mid-August into early September. However, it is the P-51 Mustang that has been the worst affected type this year. P-51B “Berlin Express” remains grounded after a canopy failure at Duxford Flying Legends, and the following day P-51D “Miss Velma” was severely damaged in a forced landing. Two months later, at the same airfield, two more Mustangs were damaged in a minor mid-air collision. Thankfully, all four pilots were safe. 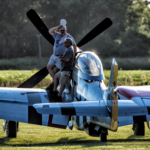 The same cannot be said for much-loved American airshow pilot Vlado Lenoch, who was tragically killed this July along with a passenger in Cummings, USA, also in a Mustang. 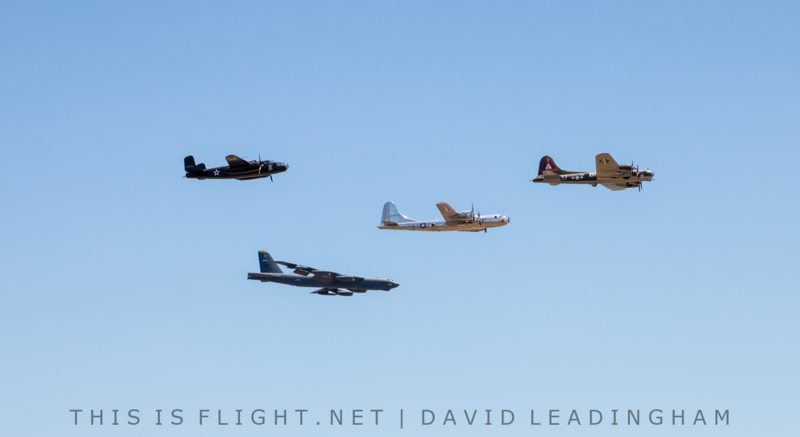 The United States has enjoyed rapid and sustained growth in its own classic aircraft arena, not least marked by the first airshow season of B-29 “Doc”, which returned to flight last year. 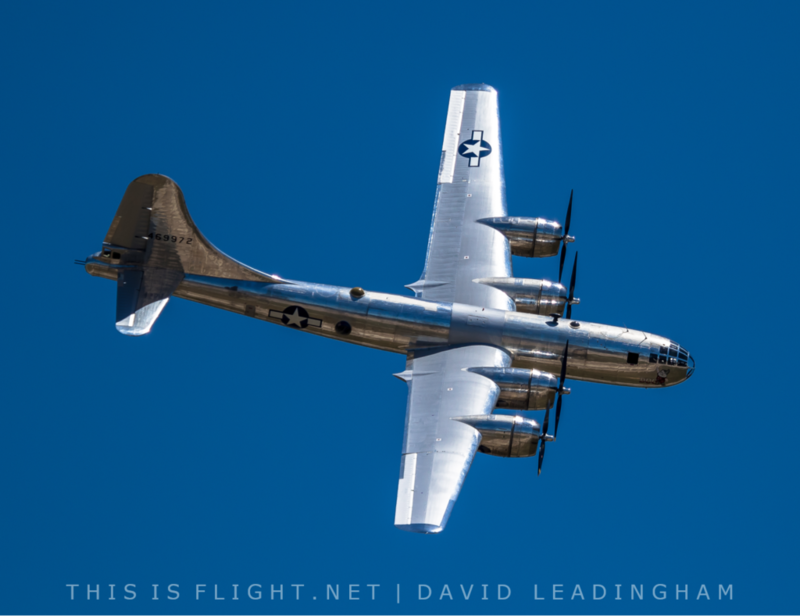 The aircraft appeared alongside the world’s other flying B-29, “FiFi”, at EAA AirVenture Oshkosh, providing one of the most memorable highlights of the year with what became dubbed as “bomber day”. The day included flying participation from both B-29s along with all three of the USAF’s current strategic bomber fleet (B-1B Lancer, B-2 Sprit and B-52H Stratofortress), in addition to a gaggle of B-25s and B-17s. 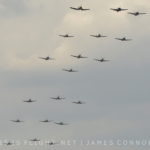 The classic jet scene is also alive and well, and was best in evidence at Wings Over Houston, which saw an A-4 Skyhawk, F-4D Phantom, F-100 Super Sabre, MiG-17, Me262 and DH-115 Vampire participating in the flying display with a MiG-21 Fishbed flying in for the static display. 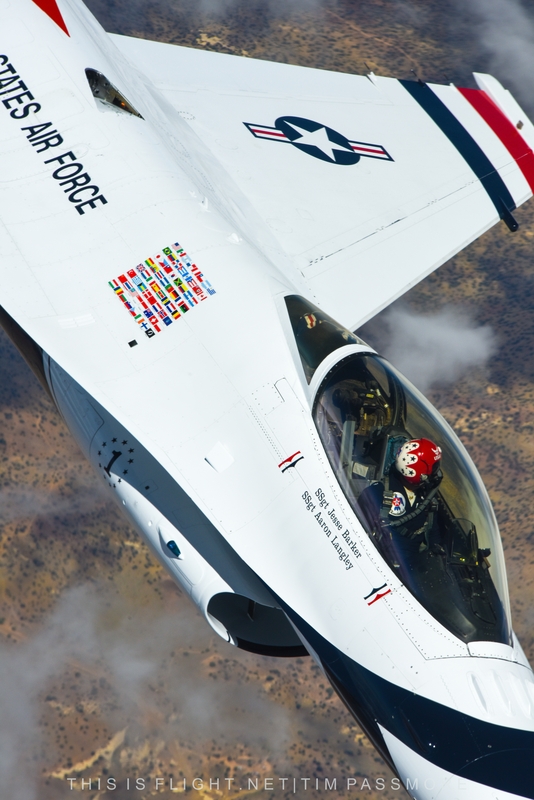 The United States Air Force have unfortunately not had the most spectacular of years. The air arm elected not to host a major international anniversary event, instead choosing to marginally bolster their participation at all the nation’s shows by resurrecting the A-10 Heritage Flight team. 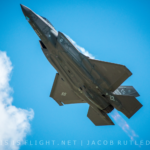 This is, perhaps, a missed opportunity, as evidenced by the fact that the USAF’s contribution to domestic airshows is forecast to be significantly higher next year than this year, and the biggest event celebrating the air arm’s 70th anniversary was in the United Kingdom, not the United States. Across the rest of the world, there have been a number of memorable moments and displays. The Sukhoi Su-35 display at MAKS and the Dubai Airshow, for example, has taken social media by storm, and will go down as one of the best jet demonstrations in history. It’s been all change for Surya Kiran of India this year, making a triumphant return to Aero India for the first time since 2011, where they displayed with six Hawks, and then increasing to nine Hawks by the end of the year. 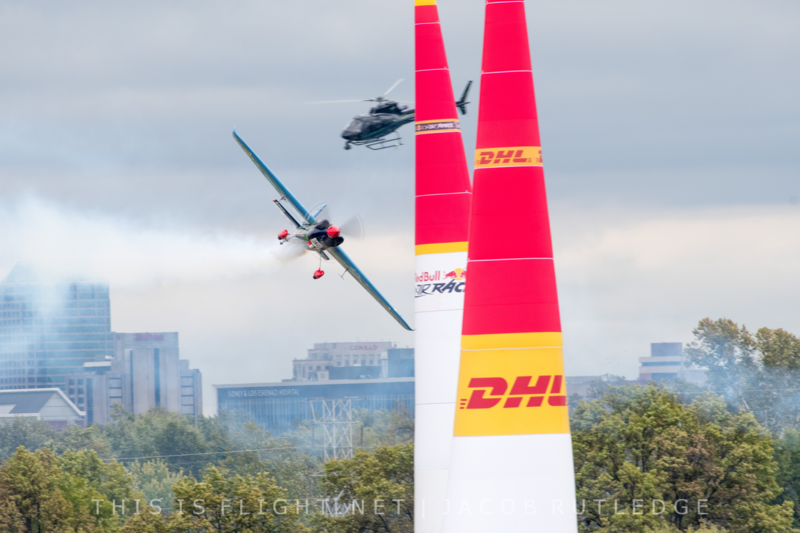 New Zealand regained a national aerobatic team – this time called the Black Falcons and flying the T-6 Texan II. 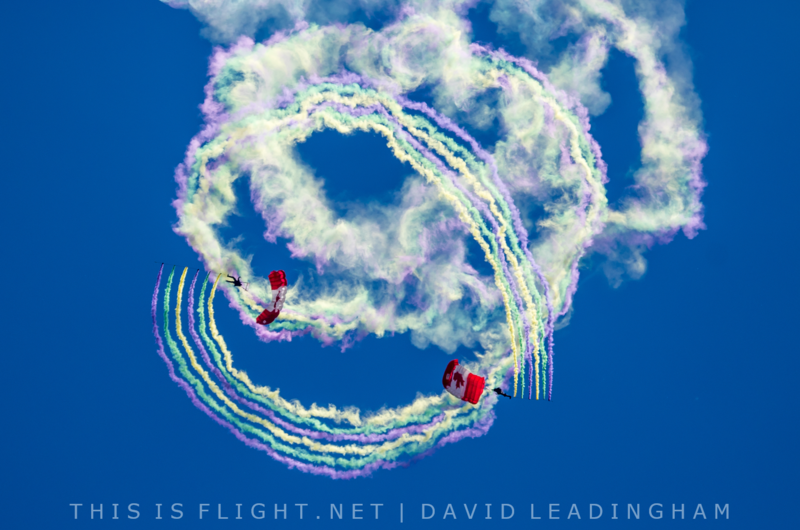 The ever-spectacular opening ceremony for LIMA in Malaysia, meanwhile, upped their game with a tightly-choreographed routine involving more aircraft than ever before. Continental Europe has also enjoyed its share of the action, including visits by Al Fursan and the Saudi Hawks from the Middle East. 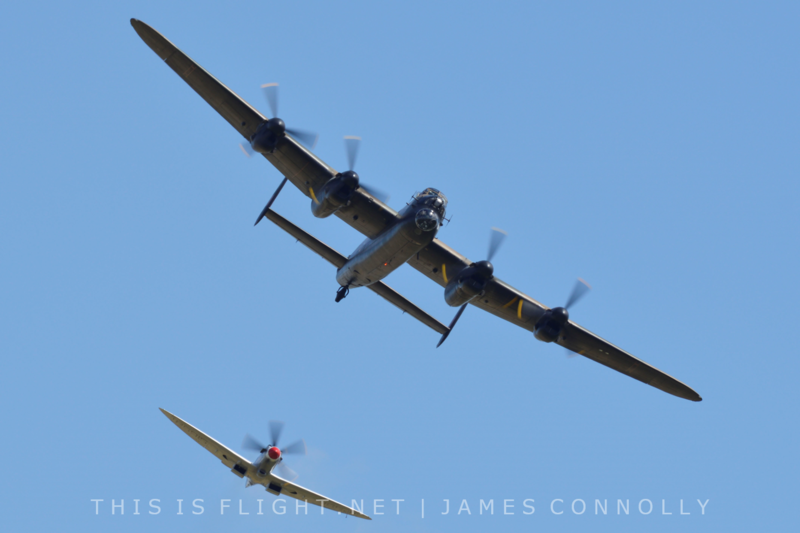 It is probably true that 2017 will not go down in the history books as an airshow season to remember, and in years to come we are unlikely to look back at it with great nostalgia. But after the horrific accidents and regulatory changes across the world over the past two years, it would have been foolish if we had ever expected to. There have, as ever, been outstanding highs and egregious lows, but overall, the airshow scene appears to be in a reasonable state. And in today’s day and age, is that any less than we can reasonably hope for? 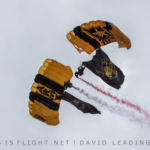 January 9th: an IAF parachutists is injured when his canopy collapses during a performance at the Vibrant Gujarat International Summit, India. January 14th: Sqn. Ldr. Dilokrit Pattavee is killed when his JAS-39C Gripen crashes in Hat Yai, southern Thailand, during an air display for Children’s Day. January 26th: a Grumman G-73 Mallard crashes into the Swan River during Perth’s Australia Day airshow, killing the pilot and his passenger. January 28th: a Grumman F4U Corsair sufferers a hydraulics failure and lands with its gear retracted at the Hunter Valley Airshow, Australia. Nobody is hurt. 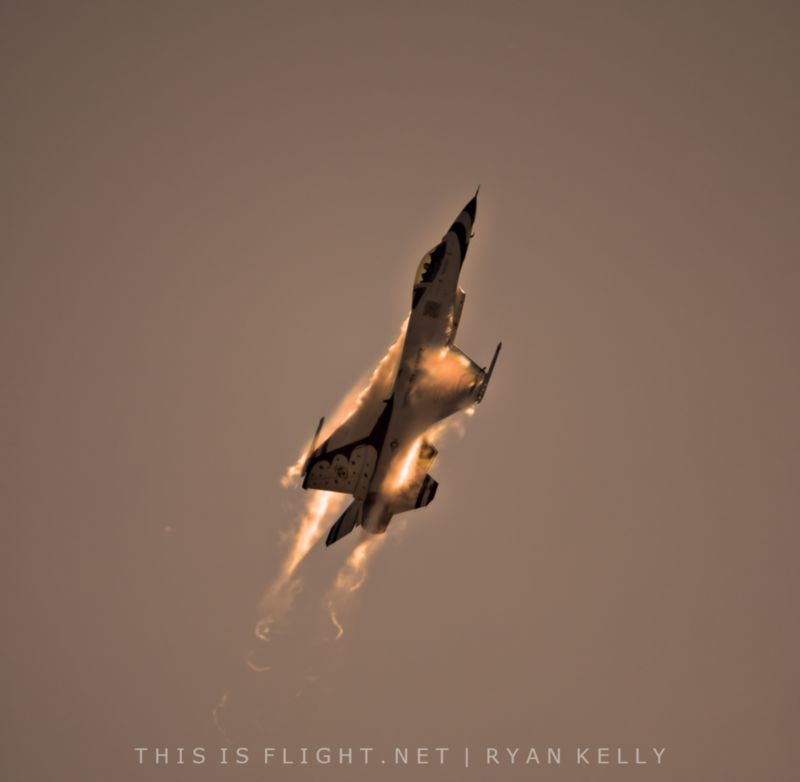 February 14th: Surya Kiran perform their 500th display on the opening day of Aero India. It is their first time performing at the event using the HAL Hawk. 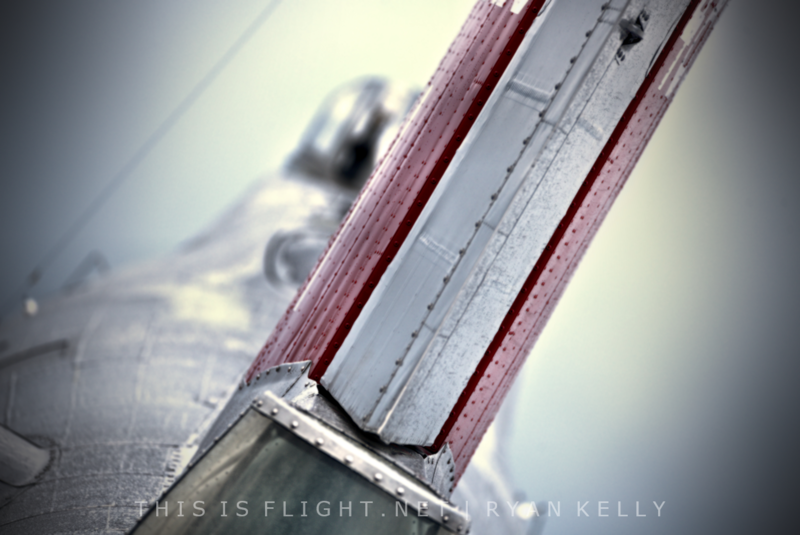 February 17th: an aircraft of the Swiss PC-7 Team clips a cable holding a suspended camera system at a display in St. Molitz. There are no injuries. 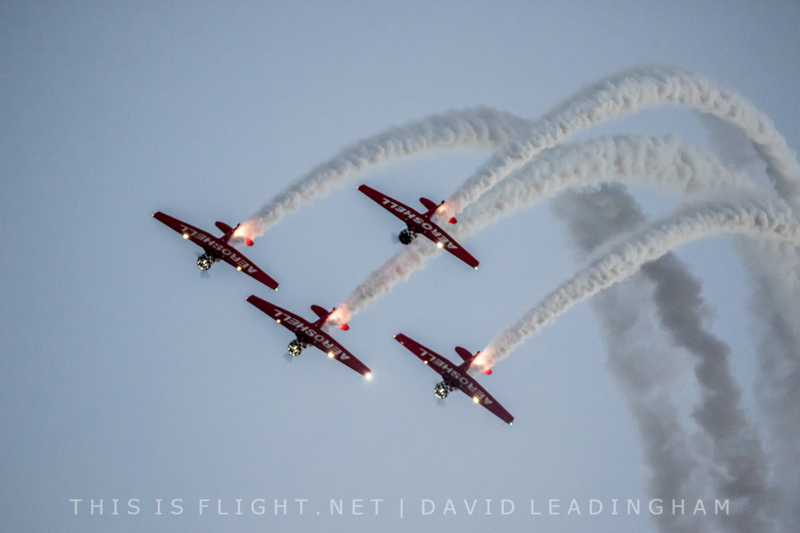 February 25th: the Black Falcons make their display debut with the T-6C Texan II at the RNZAF Air Tattoo in New Zealand. March 21st: the Russian Knights perform their first ever display with their new Su-30SM Flankers at the Langkawi International Maritime and Aerospace Exhibition. 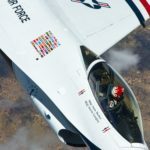 April 1st: the Yanks Air Museum and other companies based at Chino Airport file a lawsuit aimed at stopping the Planes of Fame Air Museum hosting their annual airshow in May. 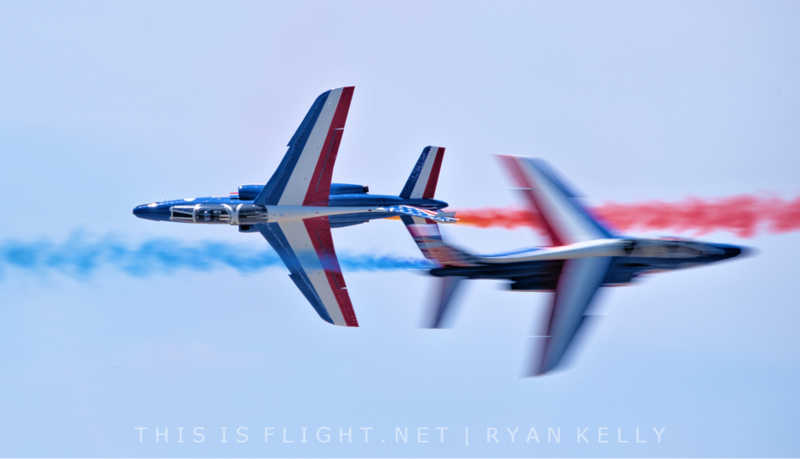 April 1st: the Patrouille de France perform at the Melbourne Air & Space Show – their first performance in the USA in 31 years. 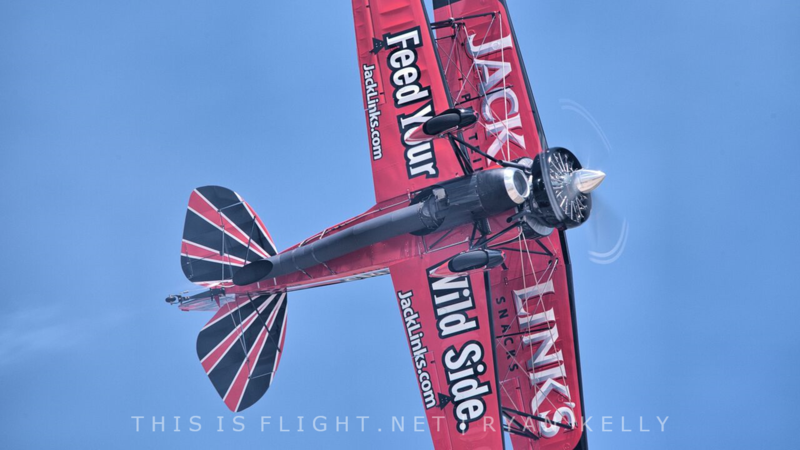 April 25th: it is announced that the Planes of Fame Airshow will go ahead as planned. The event’s future is still questioned. 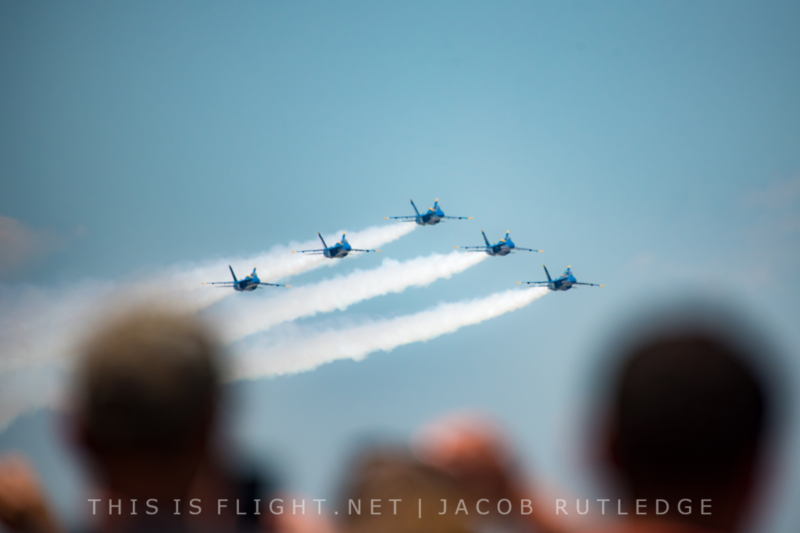 April 26th: two aircraft of the Blue Angels encounter turbulence and briefly make contact during a flypast with the Thunderbirds at NAS Pensacola. May 6th: B-29 ‘Doc’ makes her first airshow appearance, flying with a B-17, B-25 and B-52 at the Barksdale Defenders of Liberty Airshow, USA. May 9th: the Swedish Air Force announce that Team 60 reform with six Saab SK-60s to perform flypasts and displays at a small number of local shows. 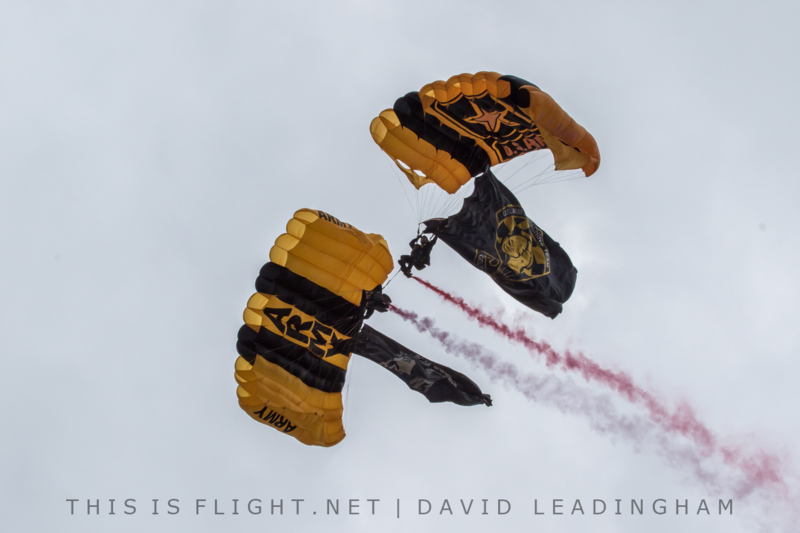 May 14th: an aircraft of the Twister Duo loses power and crash lands at the Abingdon Air & Country Show. The pilot is hospitalised with minor injuries. May 14th: the Great War Display Team’s Avro 504 suffers an engine failure at the Abingdon Air & Country Show, landing without incident. 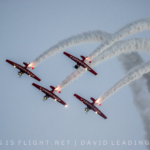 May 15th: the RCAF Snowbirds cancel six upcoming shows for a safety stand down when the team leader determines additional training is required. 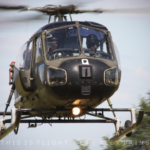 May 25th: the Flying Bulls’ AH-1 Cobra is severely damaged when its rotor blades clip a building on landing in Tyrol, Austria. May 27th: Navy Wings’ Sea Vixen suffers serious damage during a forced belly landing at Yeovilton, UK, after her first display of the year. May 28th: a parachutist from the US Navy Leapfrogs is killed when his parachute fails during a jump at New York’s Fleet Week event. 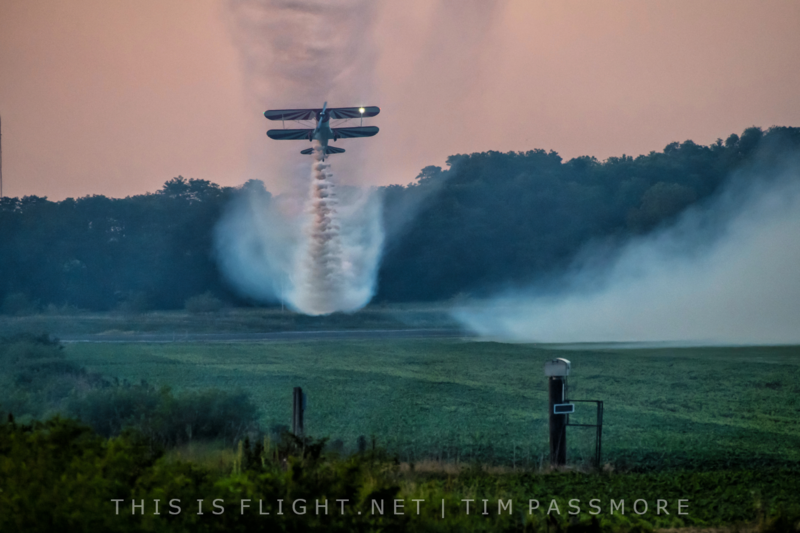 June 5th: the Shuttleworth Collection’s Gloster Gladiator encounters engine problems at the Fly Navy Air Day at Old Warden, and lands safely in a field. June 11th: the Red Arrows use a new, distant display axis at the RAF Cosford Airshow, with the RAF Typhoon unable to perform. June 11th: a Spitfire flips upside-down and crashes while taking off at Longuyon-Villette aerodrome’s open day. The pilot escaped without serious injuries. June 16th: AeroLegend’s Elizabeth Spitfire lands with its landing gear locked up at Sywell Aeodrome. There were no injuries. 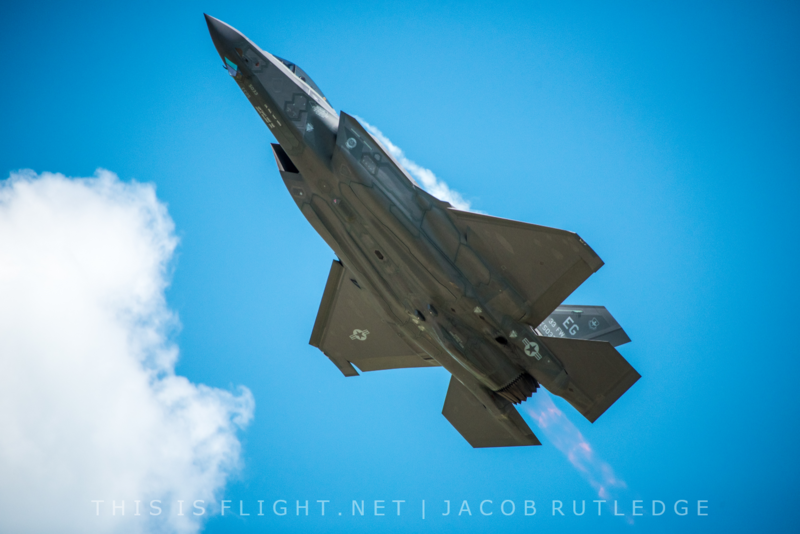 June 19th: Lockheed Martin debut their F-35A demonstration at the Paris Airshow, France. 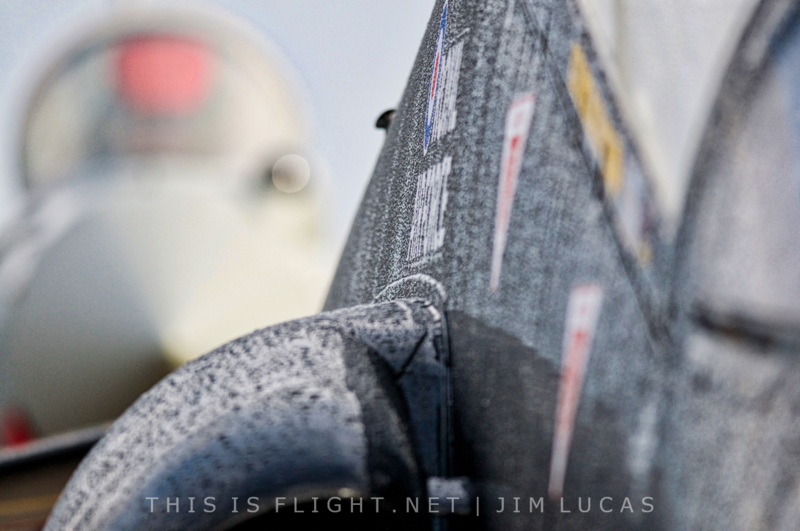 The USAF will use this display as a basis for a future F-35A demonstration team. 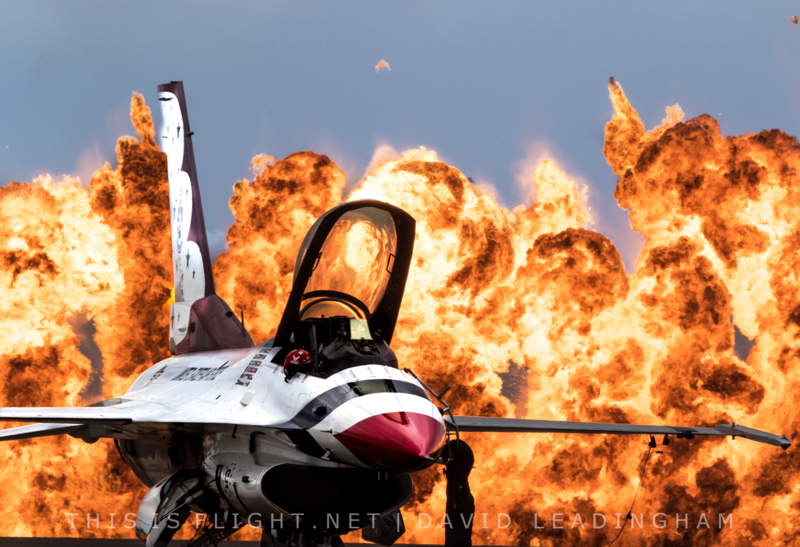 June 23rd: a two-seat F-16D from the USAF Thunderbirds flips over in strong winds while taxying at the Dayton Airshow, USA. 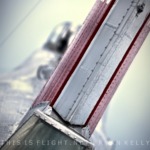 The pilot and passenger are injured. 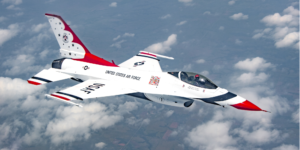 June 24th: the Lockheed Martin T-50A makes its flying display debut at the Dayton Airshow, USA. 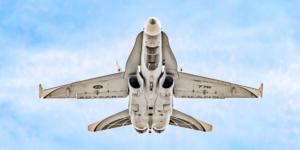 It is competing in the USAF’s T-X program. 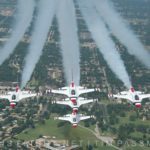 July 2nd: Thunder Over Cedar Creek Lake, USA, features the largest formation of MiG-17s in US history, with three aircraft performing joint flypasts. July 4th: P-51B Mustang “Berlin Express” arrives at IWM Duxford, UK, after flying across the Atlantic to perform at RIAT and Flying Legends. July 6th: the UK’s Civil Aviation Authority lifts a ban on flying civilian-registered Hawker Hunters, in place since the Shoreham Airshow crash in August 2015. July 7th: the pilot of a Bristell NG-5 is killed when the aircraft spirals into the ground during a university graduation ceremony in Tambov, Russia. July 8th: P-51B Mustang “Berlin Express” suffers a canopy failure during her UK debut display at the Flying Legends Airshow. 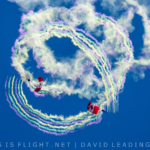 July 9th: the Red Arrows make their Duxford Flying Legends debut outside the normal flying display times, using an alternative – more distant – display axis. 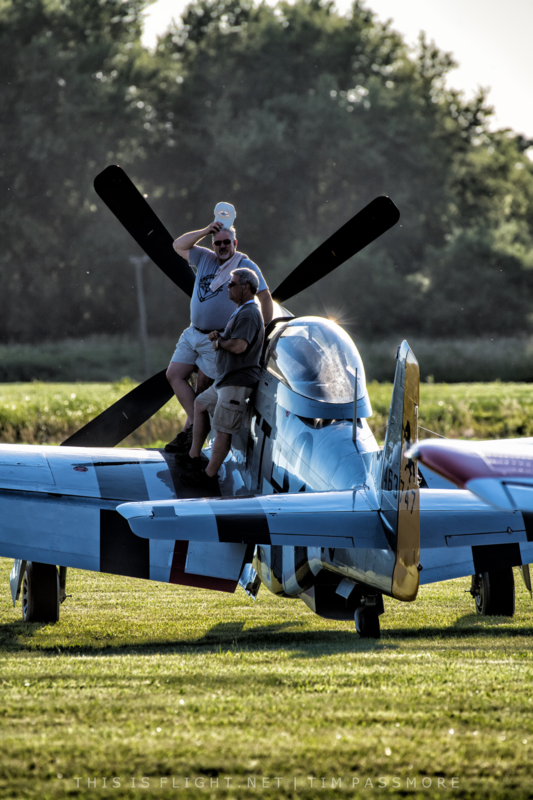 July 9th: P-51D Mustang “Miss Velma” is damaged in a forced landing in a field after participating in Flying Legends’ famous “balbo”. July 9th: a T-6 Harvard Mk.4 flips over on landing at an airshow in Owen Sound, Canada. Both occupants receive minor injuries. 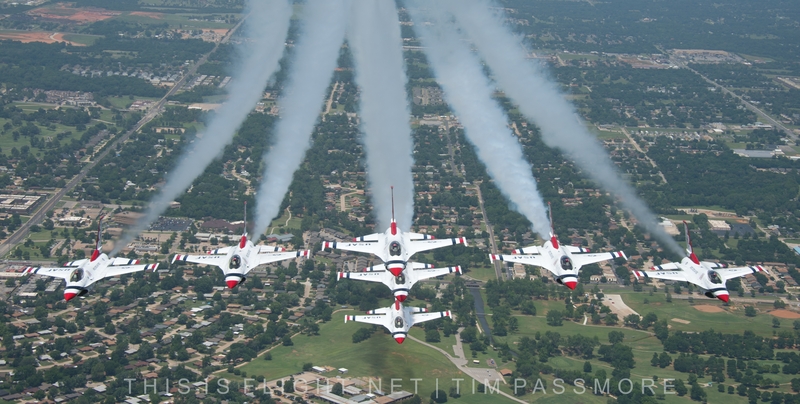 July 14th: the USAF Thunderbirds participate in the Bastille Day flypast in Paris, France, and the Royal International Air Tattoo, UK, where they fly with the Red Arrows. July 15th: the Ukrainian Air Force steals the show at the Royal International Air Tattoo with their Su-27 Flanker solo display. 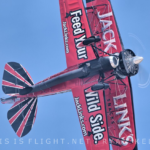 July 16th: Vlado Lenoch and a passenger are killed in Cummings, USA, in a P-51D Mustang crash following the Amelia Earhart Festival. July 18th: the biannual MAKS show opens in Moscow, starring the MiG-35 and Russian debut of the UAE’s Al Fursan team. July 22nd: the RAF Chinook Display Team are forced to limit their appearance at the Scottish National Airshow to a flypast due to new CAA regulations. 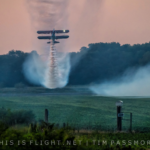 July 24th: EAA AirVenture Oshkosh opens in the US. B-29 “FiFi” and B-29 “Doc” participate in their first joint airshow and fly in formation together. July 26th: 11 B-25 Mitchells participate in a Doolittle Raid re-enactment at EAA AirVenture Oshkosh. 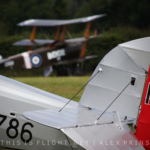 August 7th: new CAA regulations make it impossible for the planned Old Sarum Airshow to be held. 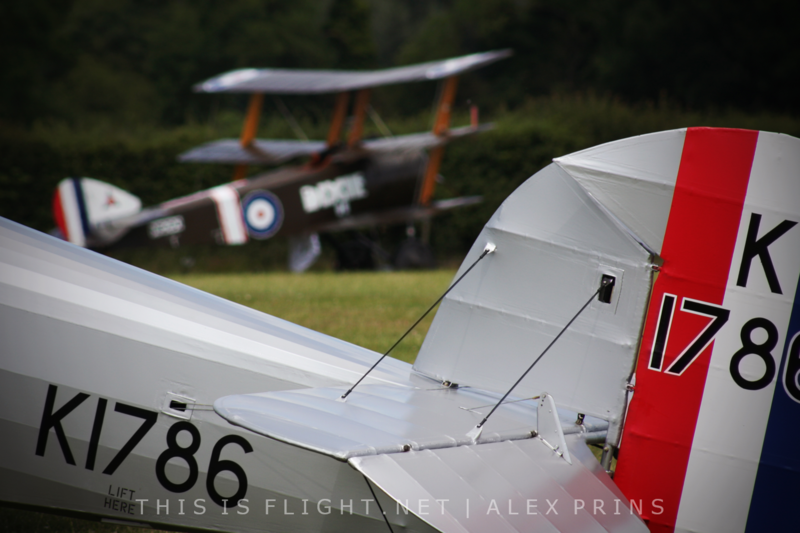 The event was due to mark the airfield’s centenary. August 8th: the USA regains its sole airworthy F-4 Phantom when the Collings Foundation’s example takes flight from Houston after lengthy maintenance. August 14th: The Pakistan Air Force hold the largest airshow in the country’s history to celebrate 70 years of independence. The show features the Saudi Hawks and SoloTurk F-16. August 17th: the Battle of Britain Memorial Flight temporarily grounds its fleet of Merlin-powered aircraft when a problem is discovered during a routine inspection. August 25th: the Democratic People’s Republic of Korea’s only airshow, the acclaimed Wonsan Air & Friendship Festival, is cancelled. August 26th: the Slovak International Air Fest opens, featuring the central European debut of Al Fursan and flypasts by USAF strategic bombers. August 27th: the British Ministry of Defence formally announce the Red Arrows will be touring to seven Middle Eastern countries later in the year. September 2nd: two are killed when an Antonov An-2 biplane struck the ground and burst into flames at an airshow near Moscow, Russia. 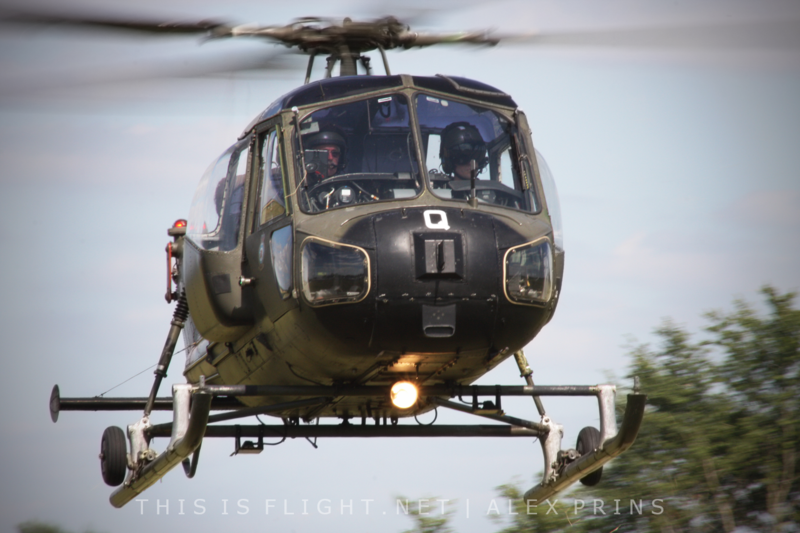 September 3rd: the pilot of a Belgian Army A-109 dies when he reportedly falls from his helicopter during a parachute jump near Amay, Belgium. The copilot lands safely. 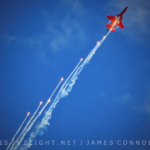 September 9th: the inaugural Scampton Airshow kicks off at the RAF Red Arrows’ home base, but was marred by technical problems. 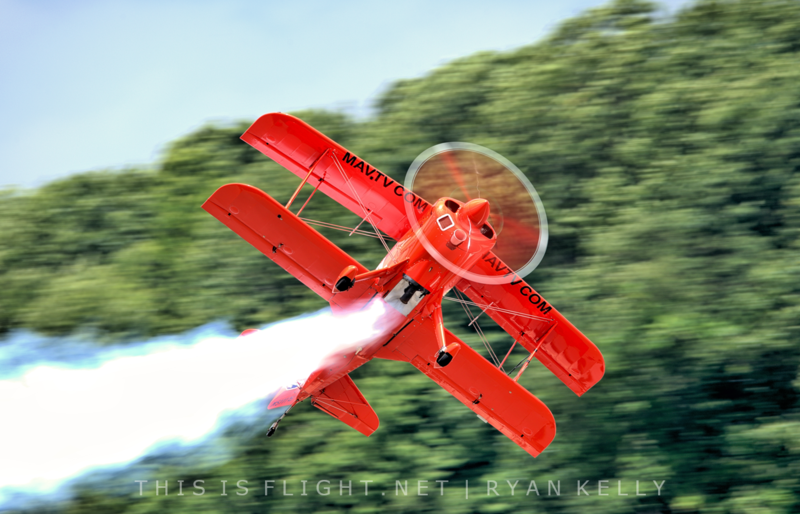 September 9th: CAA regulations force the Flying Display Director to cancel all flying at the Cosby Victory Show with just minutes to go before the air display. September 10th: the 40th anniversary edition of the Sanicole Airshow takes place in Belgium, featuring such acts as the Saudi Hawks as well as the best of the European circuit. 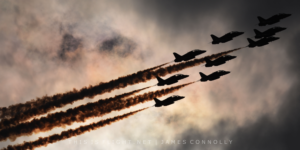 September 14th: the Red Arrows leave RAF Scampton for a five week tour of the Middle East. September 16th: Egypt’s Silver Stars make their European display debut at the Athens Flying Week, Greece, displaying with ten K-8E Karakoums. 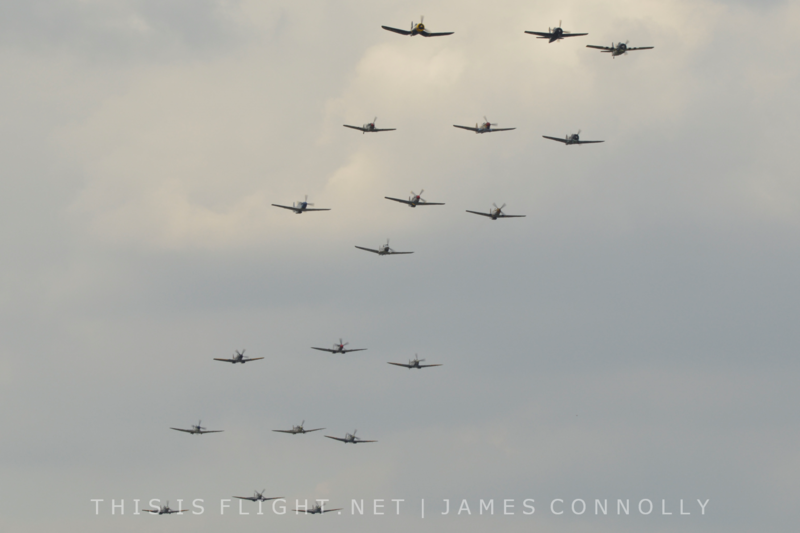 September 23rd: two P-51D Mustangs make contact in flight but land safely during the Duxford Battle of Britain Airshow. September 24th: Captain Gabriele Orlandi is killed when his Eurofighter Typhoon crashes into the sea at an airshow just south of Rome. September 30th: the Baltic Bees begin their Asia tour in Sichuan, China. October 8th: India’s Surya Kiran make their 9-ship BAE/HAL Hawk display debut at Air Force Day, flying with nine jets for the first time since 2011. October 12th: a Spanish Air Force Typhoon crashes after participating in the nation’s national day parade, killing the pilot, Borja Aybar. 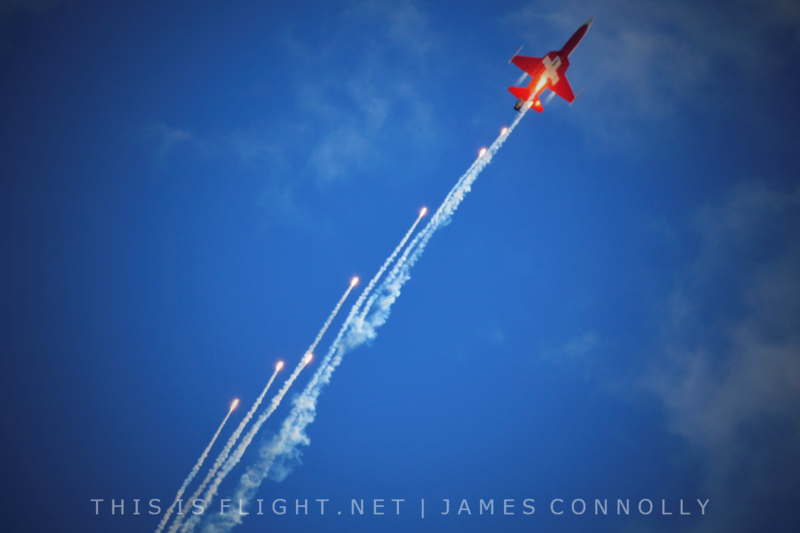 October 14th: the Red Arrows return to RAF Scampton after their Middle East tour, thus ending their display season. November 7th: C-97G “Angel of Deliverance” makes its post-restoration flight in New York, USA, becoming the only flying example of its kind in the world. 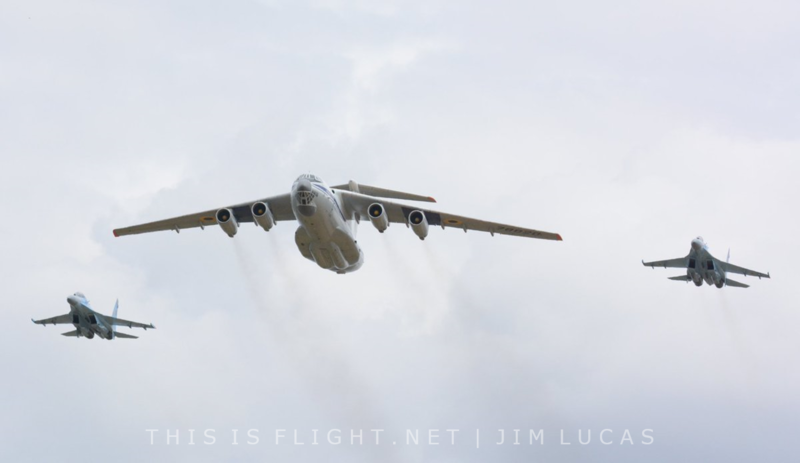 November 12th: the Dubai Airshow kicks off, featuring rare appearances from the Russian Knights and China’s August 1st. 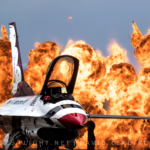 November 12th: the US airshow season comes to an end at Nellis AFB and NAS Pensacola, with the Thunderbirds and Blue Angels performing their last shows of the year. 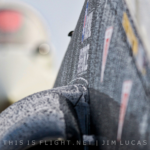 November 18th: over a year after making its first post-restoration flight, Europe’s only F-104 Starfighter makes a short flight from Bodø, Norway. November 20th: in an unforeseen move, the commander of the Thunderbirds, Lt. Col. Jason Heard, was relieved of his command after the USAF “lost confidence” in his leadership. 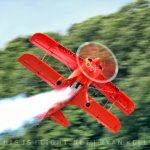 November 25th: the popular US-based Trojan Horsemen, flying six T-28s, is disbanded. A new 6-ship T-28 team, Trojan Thunder, was formed shortly beforehand. 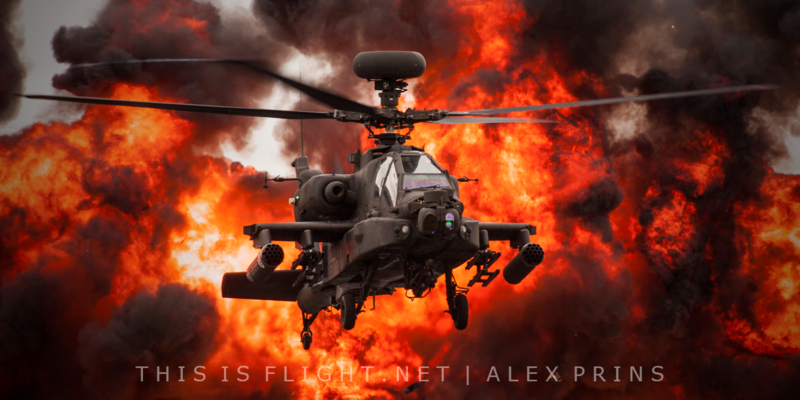 To find all our airshow reviews, features, videos and podcasts from 2017, please visit our 2017 features page.